To arrive at a set of ethical guidelines, first we need to know what the public wants. That's where you come in. Or, perhaps, will it be about inexpensive, data-rich approaches to detect patterns in your smartphone usage and detect mental health and brain disorders in their early stages -- such as what MindStrong Health, NeuraMetrix and others are already doing? Emerging science can detect early-stage brain disorders through smartphone usage. Unlocking the secrets of the brain has become a pressing issue for scientists, governments and companies across the globe. There are currently seven large-scale brain projects trying to reach the holy grail of neuroscience: how exactly does brain activity translate into human behaviour, thoughts, feeling and well-being? Imagine the multiple ways in which, if we knew the answer, we could change for the better the ways we learn, we work, we live. Imagine the ways we could help better equip all our brains and minds to thrive in the Fourth Industrial Revolution. 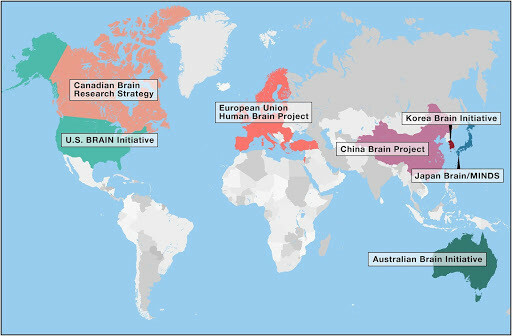 Thankfully, the International Brain Initiative is helping coordinate all the existing national-level brain projects, the Organisation for the Economic Co-operation and Development (OECD) and the Global Neuroethics Summit are actively exploring the ethical implications of brain research, and the World Economic Forum is convening a cross-sector Global Future Council on Neurotechnologies to help advance an ethical framework for technology development and widespread adoption. It is clear by now that brain research has the potential to radically transform how humanity defines itself, for good and for bad. For example, we need to reconsider long-held assumptions and values like free will and the role of reason in human behaviour. And every week you see multiple and probably contradictory news reports about the impact of neuroscience on investing, medicine, law, industry and self-improvement. But we need to pick your brain, as the implications of these new global efforts are profound. We need to ensure they reflect the needs and priorities of 7.6 billion brains and minds in every city, town and village around the globe. Incredible scientific advances are leading incredible possibilities in the alleviation of a wide spectrum of healthcare burdens, from developmental disorders, to mental health, to overcoming age-related cognitive decline and dementia. Early intervention, risk management, and disease modification are the future of healthcare: detecting latent disease and intervening in its development before it actually manifests is the future we are creating. At the same time, multiple ethical issues that come with “pre-clinical” treatments are presenting us with unforeseen opportunities and challenges where we need your input. Predicting that someone will have a certain brain condition or disease will influence not only what that person is likely to endure, but it also is a prediction about who that person may become. “Who we are” is much more fragile than we ever anticipated, upended with only an injury, like the infamous Phineas Gage, or a brain intervention such as self-estrangement after some forms of brain stimulation. It is also increasingly clear that in addition to international cooperation, “big neuroscience” requires a better understanding of global values and priorities in discussing what policies are needed, and what purposes neuroscience technologies should serve. Given that cultural values determine what kind of science is funded, conducted and disseminated, how can we move forward if we pay attention only to the needs of ill people in wealthy countries -- the subjects of most clinical research? 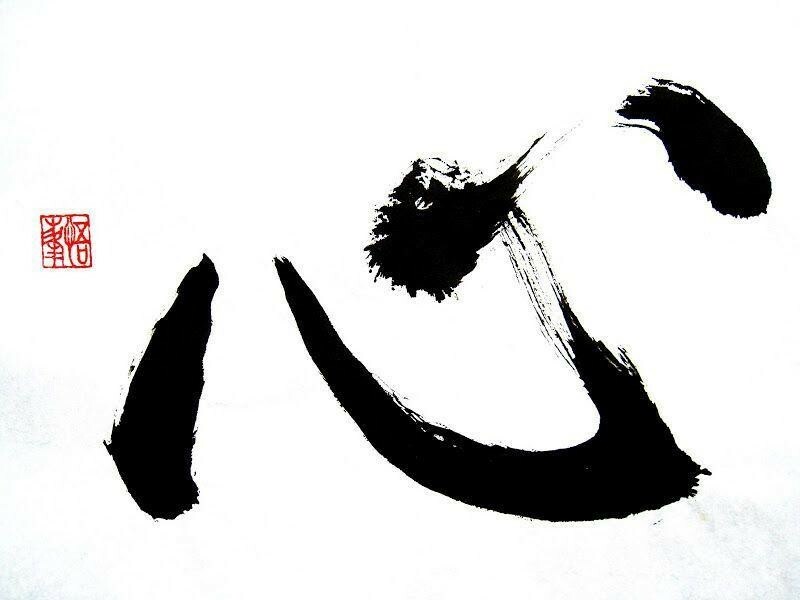 The Japanese kanji for 'kokoro' – meaning mind, spirit or heart. In many cultures, the mind, the brain, and the body are an integrated entity, as typified by the Chinese and Japanese concept of or xin or kokoro (心), meaning mind-heart-spirit. This may seem to be a philosophical indulgence but it impacts legal definitions for determining the moment of one’s death, it informs how one understands the inviolability of life, it colours whether or not it is acceptable to generate or intervene in the creation of lifeforms (as in the case of gene-editing of embryos or cloning), and it shapes the kind of stigma associated with brain disease. Brain science, or any science, isn’t value-free. 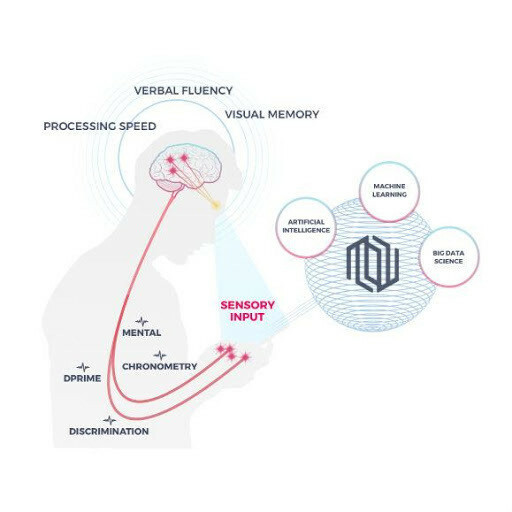 When looking for results, hypotheses are often drawn along lines of nationally constructed identities and can unintentionally exacerbate or reinforce biases along race, ethnicity, gender and even set frameworks on what is considered “normal” or “natural.” For example, innovation in neurotechnology that can improve memory in diseased brains can also lead to neuro-enhancing technologies that promise to make us superhuman. Innovators and policy-makers worldwide are concerned about managing a growing ageing population and look to the development of cures, neuro-enhancers, and socially assisting robots. But there are unique equity concerns related to neuroscience. If we were able to alter foundational human capacities, would we see a large and increasing “brain divide”? We need to think about ethical acceptability, about fears of peer pressure and implicit coercion to use them, about inequitable access to such technologies. So how do we find a balance? Where and how does responsible development meet wise adoption? Engaging policy-makers, ethicists, scientists, technologists and readers like you in transparent discussion is critical if we are to successfully thread this needle. The public can no longer be viewed as an empty vessel to be filled with knowledge by "experts" … since the experts have much to learn about your opinions, desires, and priorities for scientific discovery and technological innovation. - What does it mean to individuals and their care providers to receive a preclinical diagnosis or assessment of high risk for developing a brain disease? Does such a diagnosis create more stigma or opportunity for health? - What is the critical threshold for naming something a disease? Will we eventually move the line of when we actually designate a disease (for intervention or reimbursement justification purposes) or are we entering an era of healthcare as enhancement? - How should we evaluate risk-benefit in the absence of disease? How do we decide appropriate risk in the face of ‘treating’ a disease that doesn’t yet exist, but is predicted and not guaranteed to happen one day? - Does a pre-clinical diagnosis count as a “pre-existing condition” for the purposes of life or health-insurance? How should that information be protected, given evolving data privacy considerations and standards around the globe? - How do we prevent a potentially growing “brain divide” between those with access to emerging knowledge and tools and those without? - What are the risks of not trying high risk ventures in the brain health and mental health domains when so many people are underserved, misdiagnosed and mistreated? Please don’t outsource the future of neurotech to brain experts – simply by reading this we know that you have a fantastic human brain too. Please engage, in the comments on social media or any way you see fit, and help us advance the opportunities and mitigate the risks.